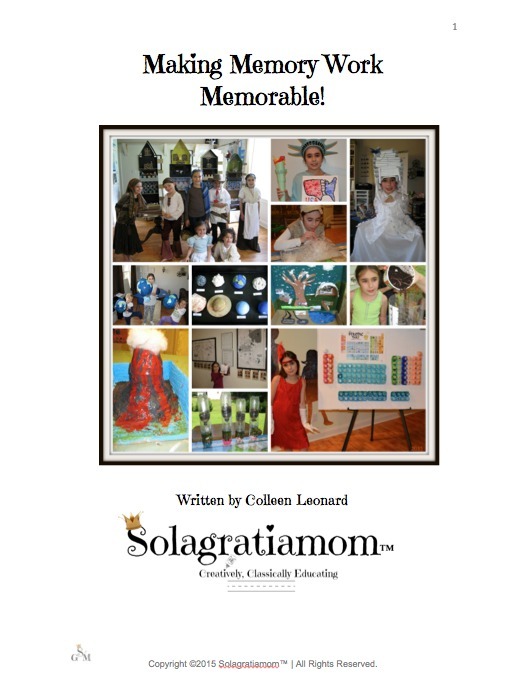 Solagratiamom: 5 Fun Ways to Math for Summer! 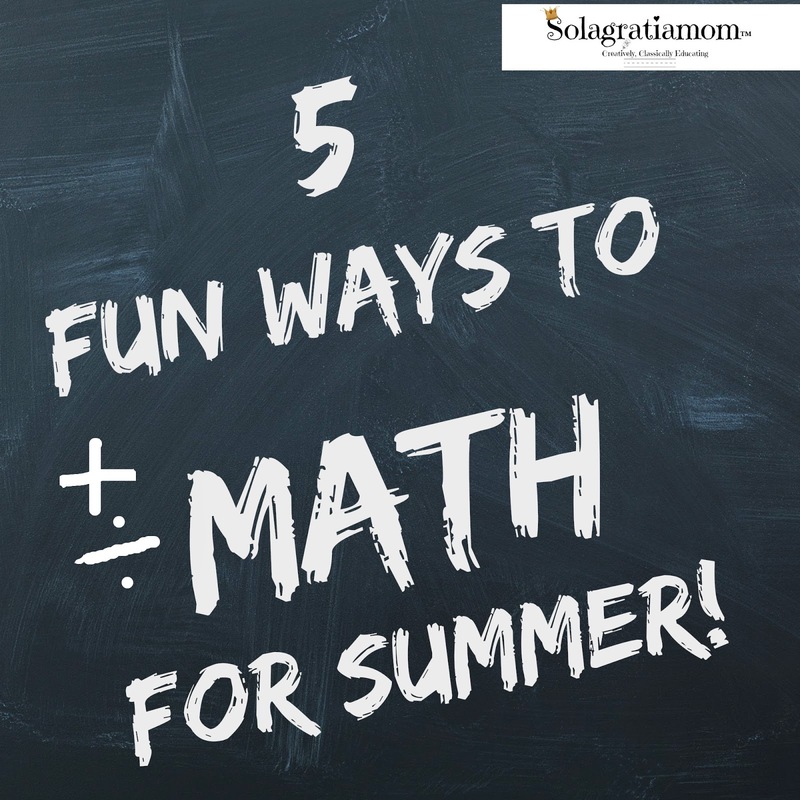 5 Fun Ways to Math for Summer! Turn your walk outside into a geometry lesson. Look for different shapes, patterns and symmetry in the things you see as you walk. It could be the shapes of various leaves, patterns on bugs, birds, leaves or flowers. Talk about the patterns you see repeated in nature such as star shapes, dots, stripes etc. Use a print out to help you - such as this leave types sheet. Incorporate integers by counting numbers of leaves on various plants, legs on bugs, wildlife you see (pairs of birds, ducks, geese etc. ), petals on flowers. If you don't have nature nearby, then count the fire hydrants or telephone poles, skip count flowers in gardens, number of houses, add up house numbers as you walk... Here are some great ideas for inspiring an educational nature walk. This is an easy lesson in measuring and equivalents. Kids love to cook and bake so why not turn it into an easy math lesson. You can assign them jobs like counting eggs, sorting ingredients, measuring ingredients, turning on the oven and setting it to the correct temperature, fractions and more... Here's 25 Recipes to cook with kids! So what kid doesn't think about running their own lemonade or cookie stand over the summer? Kids can help with things like making the lemonade, incorporating measuring, pouring, estimating how many cups per quart and costs per serving, price setting, profit margins and more. Give your little entrepreneur a head start. You can get an inexpensive Lemonade Cardboard Stand for them to use. We have one my daughter loves! If you are going shopping then have your child help you estimate the time it will take to run errands and calculate how long it will take to get to each destination, how many miles it will be, mileage between errands, how much the items are going to cost, adding up what you've got to purchase, figuring out any discounts for sales, telling time as you look at your time you left and when you arrived etc. Another fun game is adding up the numbers on license plates as you pass cars. Here's some information on estimating -to brush up! So who doesn't like to hit a nice outdoor restaurant over the summer or go to the ice cream stand to enjoy some family time over a cone? Why not make it a fun math lesson while you're at it?! You can use their math skills to estimate the cost of your food, the time it will take to be served or receive your food, the number of people waiting, skip count the number of seats or fans. Count the number of people there, then subtract the number already eating and figure out how many are waiting for food. Add up the cost of various meal combinations on the menu. Have them figure out the tip based on percentages. See how many bites it takes each of you to eat your cones! You get the idea! When you get home -play a fun online game calculating tips! I hope you have a fun math filled summer! Those are all great ways to get some math in! First let me say that I love your new look! These are great ideas and resources. The Lemonade stand idea reminds me of when our now 35 yr old son set up one while on our seashore vacation. Almost immediately, he came running inside waving a $10 bill! Someone had thought he was so cute they told him to keep the change! He closed up shop and went shopping! All he learned was that it pays to be cute! Great ideas and a good reminder to look for math everywhere!